Nobel laureate economist Amartya Sen, who has been critical of Narendra Modi's model of governance, has said there are lessons to be learnt even from Gujarat which had good business performance and infrastructure though it lagged in health, literary and minority rights. The economist said it was wrong to portray India's governmental experience as a complete failure. 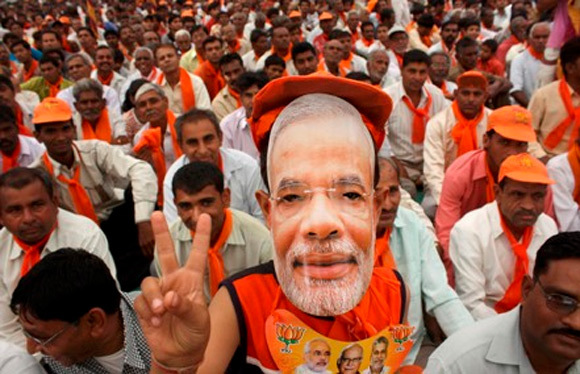 Image: A BJP supporter wears a mask of Gujarat's Chief Minister Modi at a rally in Balasinor. "It has been a completely diverse experience. “Some very good experience in business area like Gujarat on the other hand pretty bad record in education, health care, gender equity and any public policy related to that," Sen said at the launch of his new book on Monday evening. Sen along with co-author and economist John Dreze has in their new book taken note of the achievements of modern India, including the successful maintenance of the world's largest democracy, but they still argue that the country's development strategy remains fundamentally flawed. 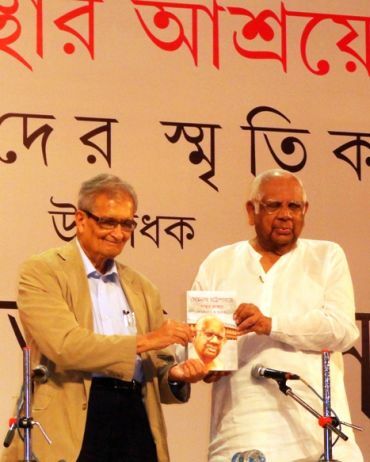 Image: This file photo shows Amartya Sen (left) with former Lok Sabha Speaker Somnath Chatterjee at a book inauguration event in Kolkata. In particular, the authors point out that the country has overlooked the central role of human capabilities -- both as an end in themselves and as a means of further progress. Sen exemplified Kerala, which he has done pretty well in areas like education and health care and is now one of the richer states in India. He said he was criticised as ‘hypothetical and imaginative’ for saying that Kerala a state once mired with problems of low income and red tape could reap the benefits of growth if it stuck to progress in areas like education, health care and literacy. 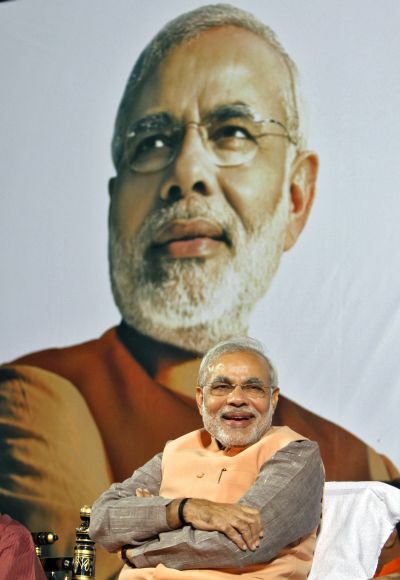 Image: Gujarat's Chief Minister Narendra Modi. "Now it turns out Kerala is one of the richer states that the high growth rate in Kerala is nurtured and fostered by education and health care," said Sen. The Nobel Laureate said it was a question of learning from any part of India that can offer a lesson. "This is true even in Gujarat. We can even learn from Gujarat even though it has a dismal record in treatment of minorities, giving them a sense of security and sticking to secularism. “But in things like market economic expansion, there are things to learn." 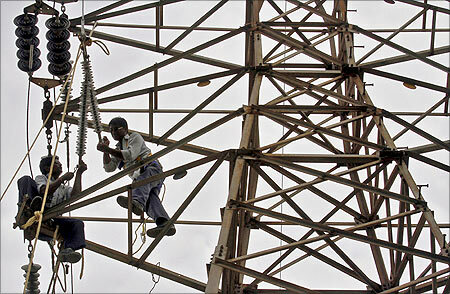 Image: Employees of Gujarat Energy Transmission Corporation at work. Sen has previously been attacked by economist Jagdish Bhagwati for supporting an inclusive growth model where government spends on public services like education and health services. Bhagwati, a professor at Columbia University, has backed the economic model that poverty can be reduced with the help of a higher growth rate. At the book launch, Sen rebutted Bhagwati's claim that the Nobel Laureate has advocated the redistribution model for rapid growth. "I'm not recommending redistribution I have never spoken of redistribution. Redistribution means taking from the rich and giving to the poor. What the poor need most are public services in education, health, literacy," Sen said. The economist said he was most likely to be misunderstood by journalists. "I have grown quite used to the fact that no matter what I say in a meeting I can see headlines next day about 'Amartya Sen saying growth is not adequate'. . . Growth is important but we are also very concerned with understanding how growth has come about", Sen said. 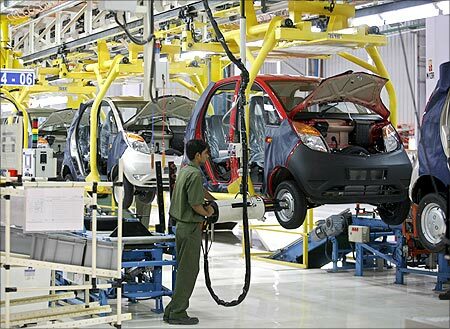 The book points out that during the last twenty years or so, the Indian economy has been one of the fastest-growing in the world, yet real wages have virtually stagnated. But this, say the authors has not attracted serious attention in policy circles. 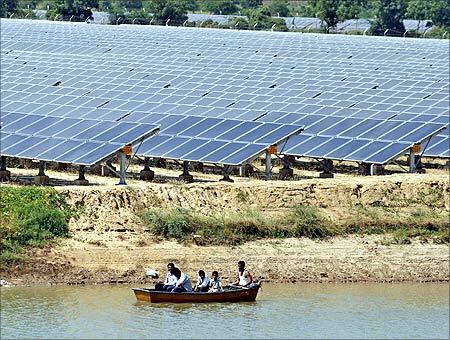 Image: Security personnel sit in a boat as they patrol the premises of a newly inaugurated solar farm at Gunthawada village in Banaskantha district. In contrast, real wages have been rising at about 7 per cent per year in China. The book concludes with a strong case for the possibility of change through democratic practice. The reorientation of democratic dialogue, however, it says requires a clearer understanding of the vast deprivations and inequalities that blight Indian society today. The book by Sen and Jean Dreze An Uncertain Glory: India and its Contradictions, has been published by Penguin. 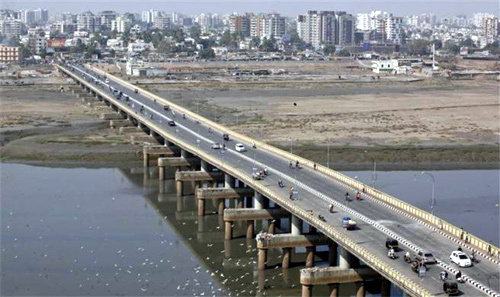 Image: Vehicles move over a bridge built over the river Tapi at Surat, in Gujarat. SPECIAL: Did Modi make Gujarat Vibrant?